The natural gas implied volatilities provide an independent and thorough view into the North American natural gas market. 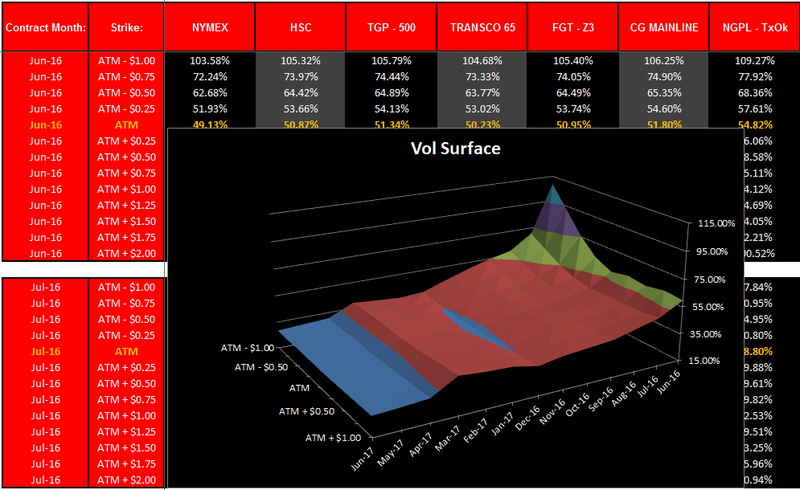 Detailing Henry Hub and other basis locations, the implied volatility data gives customers insight into potential price movements. Volatilities are delivered daily before 4:00 pm EST providing customers an early start to their end of day processes. The volatility products cover daily assessments at Henry Hub and 28 select basis locations. Also available: Intraday NYMEX Henry Hub Hourly volatilities in 5 cent increments across the smile with a 60 month tenor. Files are available once per hour and provide insight throughout the trading day.